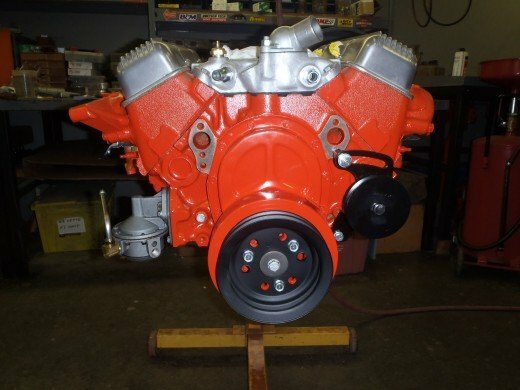 The big day has arrived, Corvette engine assembly! 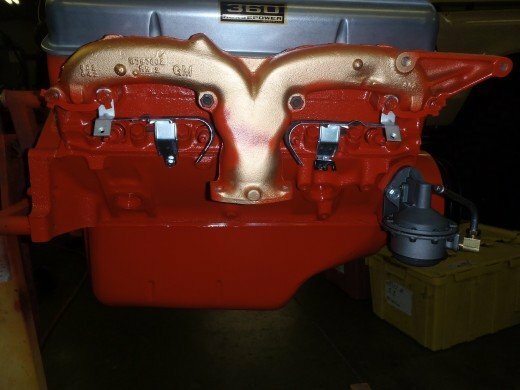 This is an exciting part of the restoration as you are fixing the heart of the beast and bringing the engine back to what it looked like from the factory. 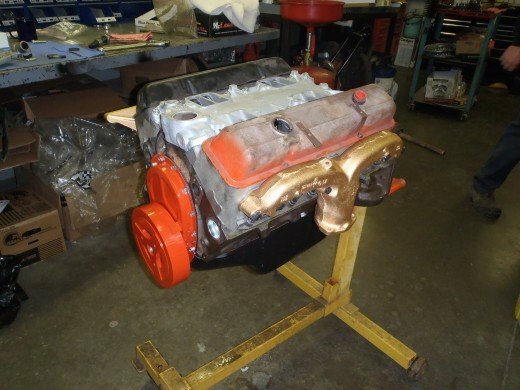 One might think that this is a fairly quick process as the engine is relatively small compared to the rest of the car. This would be an incorrect assumption. 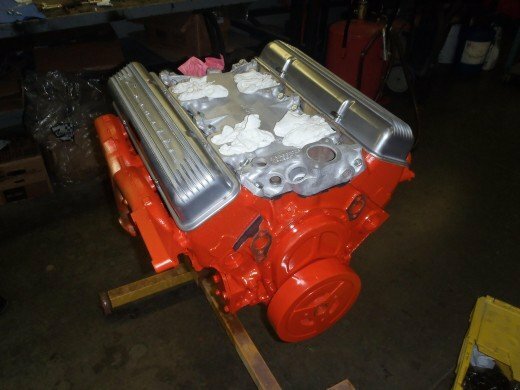 There is an entire section of the NCRS (National Corvette Restoration Society for those in the know) judging manual devoted to the engine. Careful assembly now pays off in not having to take things apart later. First things first, and this is a big one. It will be real hard to change this later and most people don’t know a bout it. 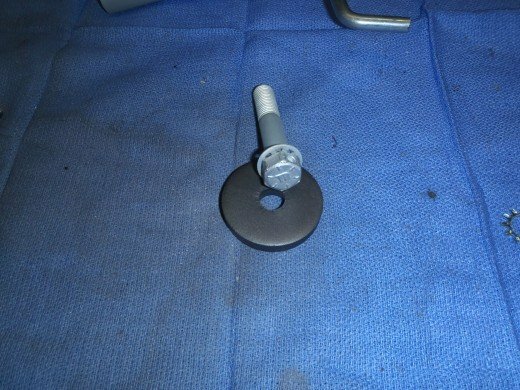 The original freeze plugs that were in the engine block had no markings in them. All modern freeze plugs are stamped with some thing. 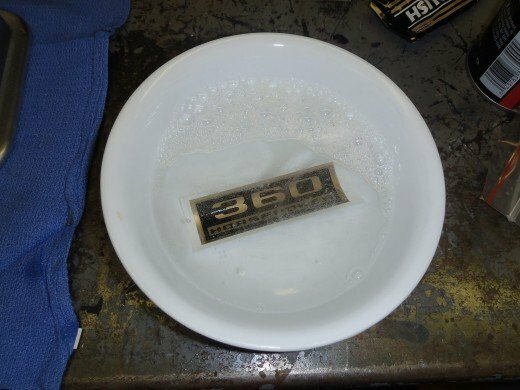 To remedy this we mix up a little clear coat and pour some into the plugs. Let it harden over night and walla, you have a blank freeze plug the next morning. 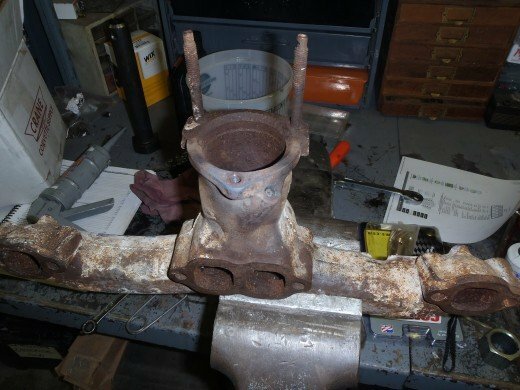 Next up we had a crusty old exhaust manifolds that needed to be refinished before going on the engine. 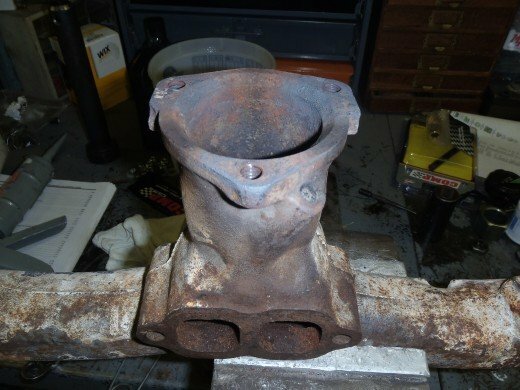 If you’re familiar with the Fulie exhaust manifolds, they are extremely hard to replace, not to mention expensive. 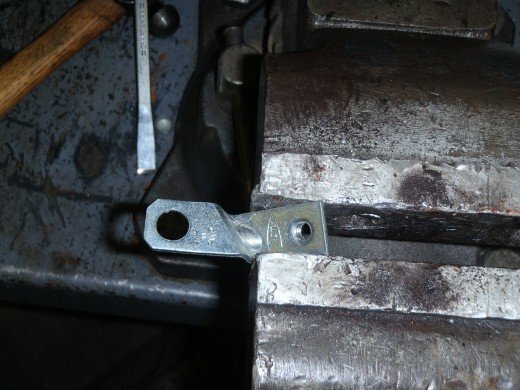 Very careful extraction of the old studs is required, and you don’t want to mess up the threads when doing this. After cycles of heating and lubricating, we removed all the studs with no damage to the manifolds. 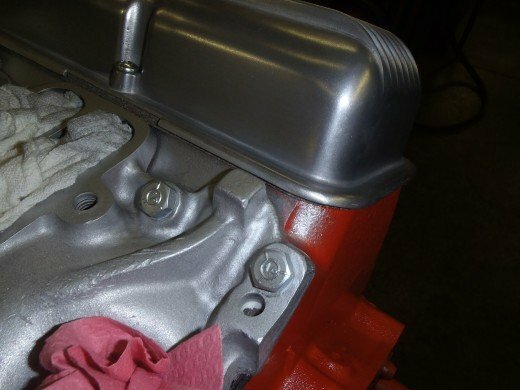 After removing the studs, we blasted the manifolds to clean bare steel then coated them with a dressing compound. 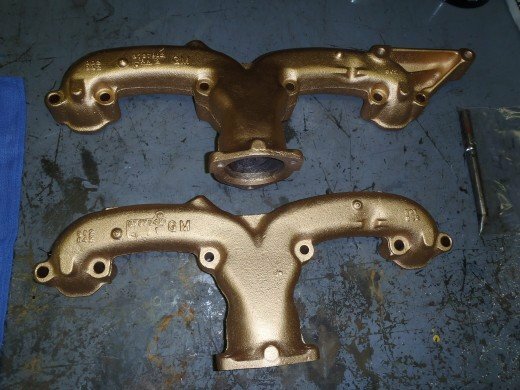 While this may make the manifolds look odd in this gold finish, as soon as it heats up the first time it will burn off and look like a newly cast manifold. 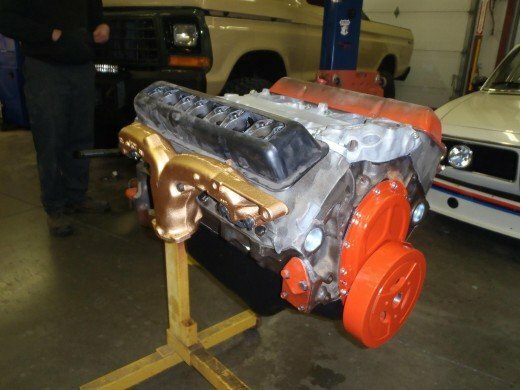 We bolted the manifold onto the block along with some of the tins to get the engine ready for paint. 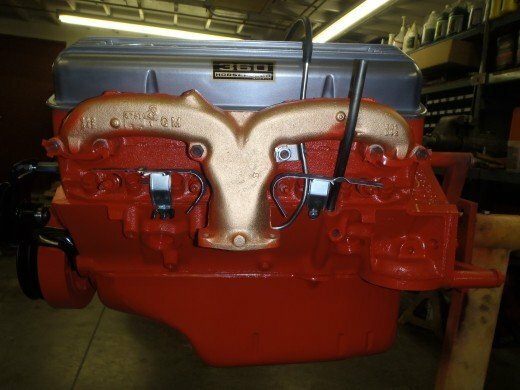 The exhaust manifolds need to be on the engine for paint along with all their correct hardware including french locks. Don’t bend the tabs yet though. Technically the manifold was not on during paint, some masking was required. 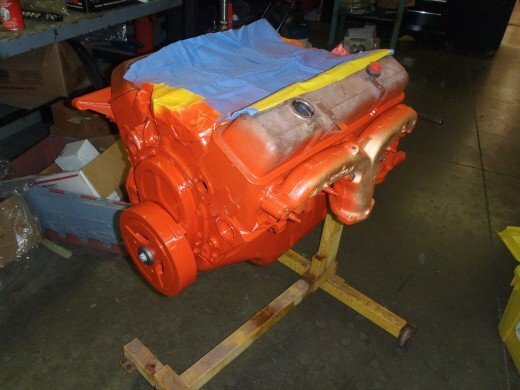 We put old spark plugs in the block the holes and painted the engine. Lots of over-spray on those exhaust manifolds. Don’t hate it, embrace it! 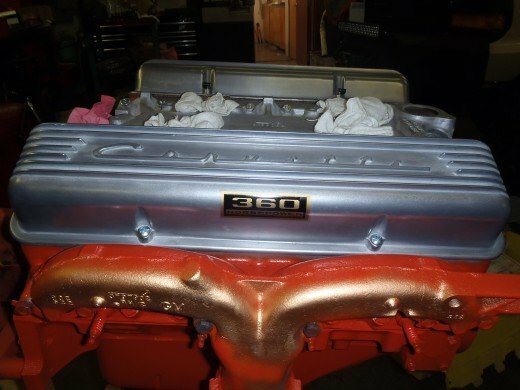 As a side not for the Corvette aficionado, the bell housing was on during paint and gets over-spray too. We didn’t forget, it’s just easier to paint on a stand. 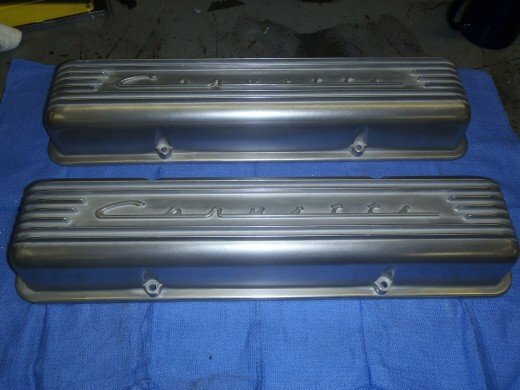 We refinished our valve covers. These should have some sheen to them as they were die-cast pieces. 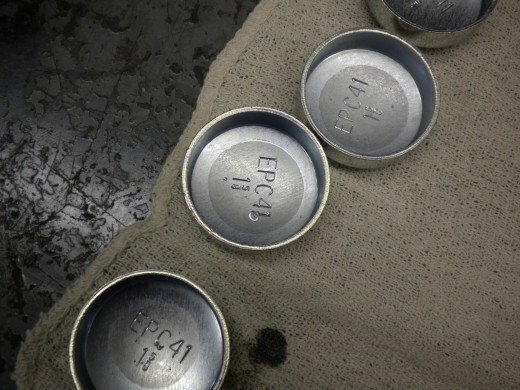 If you leave a bead blast finish on them – you’ll loose points in judging. We installed our water soluble (the correct style) horse power decals. Some people complain about putting these on, but it is quite easy if you soak them a little in warm soapy water. 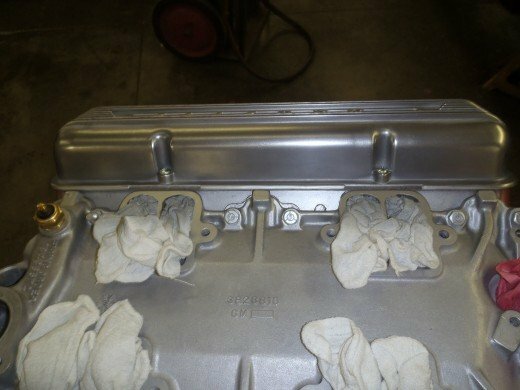 Here the valve covers are installed. The 360 hp decal proudly showing. Next up – silver in the valley. An easy thing to over look and it’s a lot easier now then later. On the valley itself it doesn’t show up much. The key is to see just a touch of silver on the orange paint at the end of the valley. One of my favorites. Nothing like reproduction hardware that will make you loose points if you don’t pay attention. 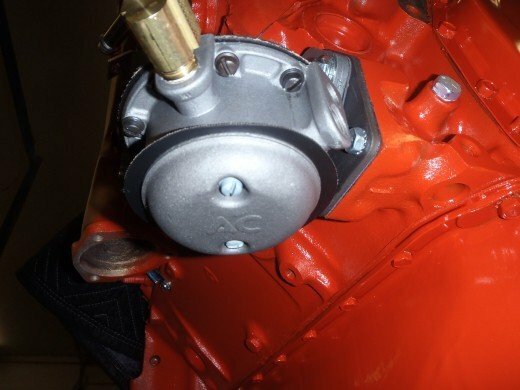 In the judging manual it specifically states that the crank balancer bolt has a “TR” head-mark with a safety wire hole drilled in the bolt. The reproduction has neither. 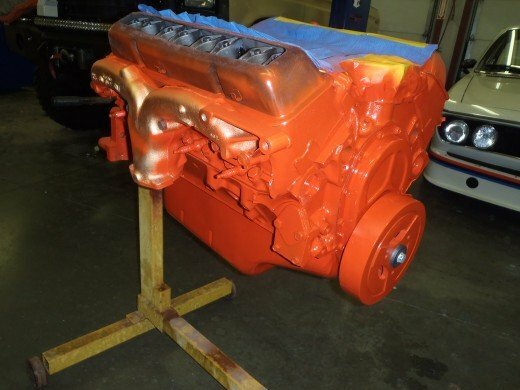 We refinished the original hardware and reused it. 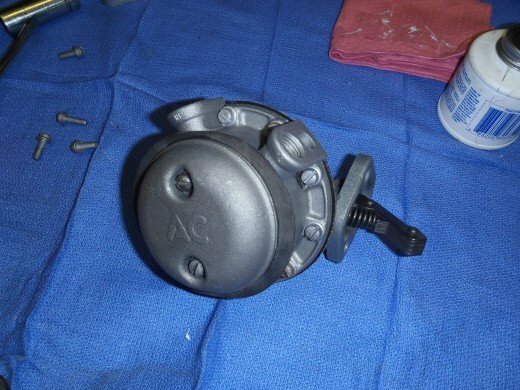 Here is our original style fuel pump that we were able to procure. However, the hardware finishes are incorrect. 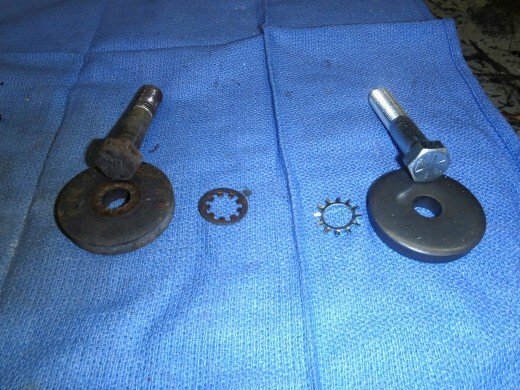 The upper screws were refinished in black oxide, the lower screws in zinc. Also, here is another favorite that is not mentioned in the judging manual. Notice the plate that the fuel pump is bolted to? It’s bare steel not painted. Here we have bolted on some of the front end components, minus a water pump that is currently being rebuilt. This is another fun one. 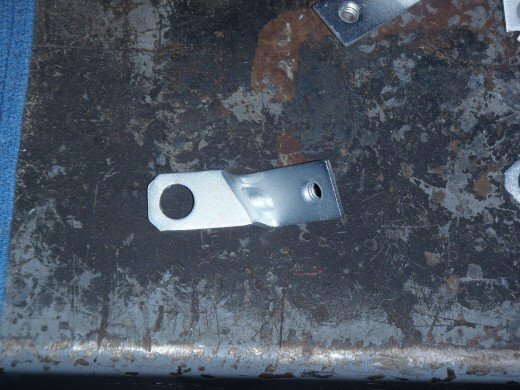 The brackets that hold the ignition shielding on almost always come with markings on them. In this case “Made In Canada” and “CPI”. Both of which are incorrect. 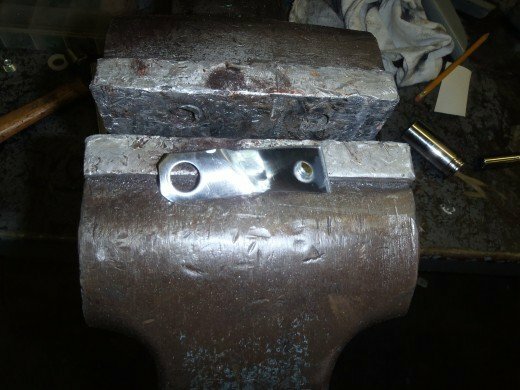 Using some special grinding pads that don’t leave grinding marks we burnished all the markings off the brackets. After stripping the old zinc off and some bead blasting we re-plated them in zinc. They look like brand new pieces with no markings. We installed our lower choke tube, spark plug shields, and oil dip stick tube. Here you can see the heat shields installed on the other side. 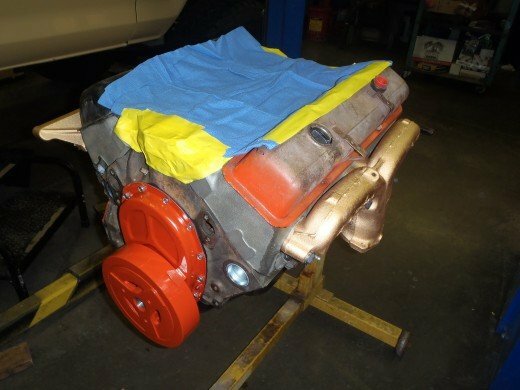 As our Corvette engine assembly continues, we have a few more parts to install and then the engine can go in the chassis.